21st century media designates media following its shift from a past-directed recording platform to a data-driven anticipation of the future. In my talk, I shall focus on the experiential challenges posed by this shift, shall sketch a post-phenomenological account of sensation, and shall explore the privilege of sound as a medium for slowing down microtemporal sensibility. Pharmacology designates the double operation of media which simultaneously threaten human modes of experience and provide remedies for their threat. In my talk, I shall explore the history of media pharmacology from writing onwards and shall focus on the “perversion” of pharmacology in the contemporary media environment. Taking Facebook as my prime example, I shall ask what happens when the operationality of a media platform – the gathering of data traces of user activity – is wholly divorced from its function as entertainment/content. 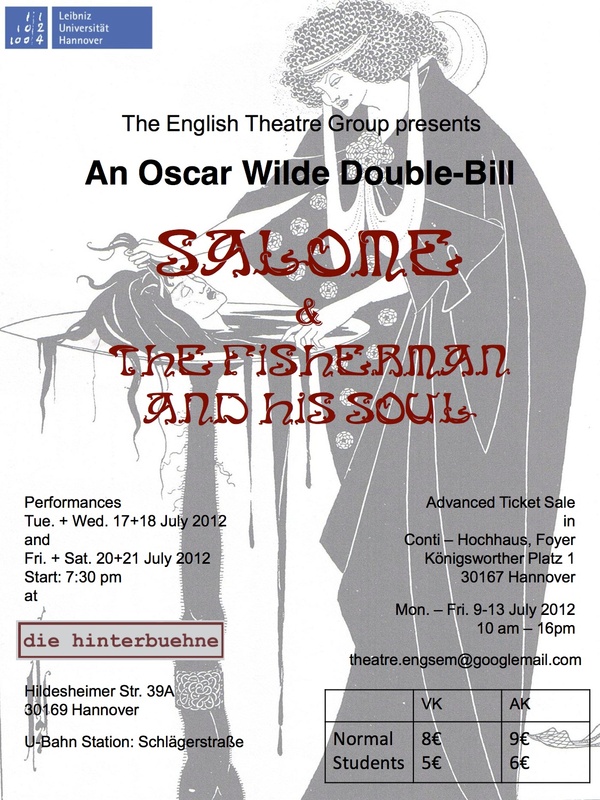 The English Theatre Group, under the direction of Peter Bennett, will be performing Oscar Wilde’s Salome and The Fisherman and His Soul (an original dramatization of Wilde’s fairy tale) as a double-bill. Please note that there is a new venue this semester: “die hinterbuene” at Hildesheimer Str. 39A. Performances are on July 17, 18, 20, and 21 at 7:30pm. Contrary to the information on the above flyer, advance ticket sales begin on Monday, July 2, and run through Friday, July 13, in the foyer of the Conti-Hochhaus at Königsworther Platz 1. See also here and here, or contact Shane Denson for more info. 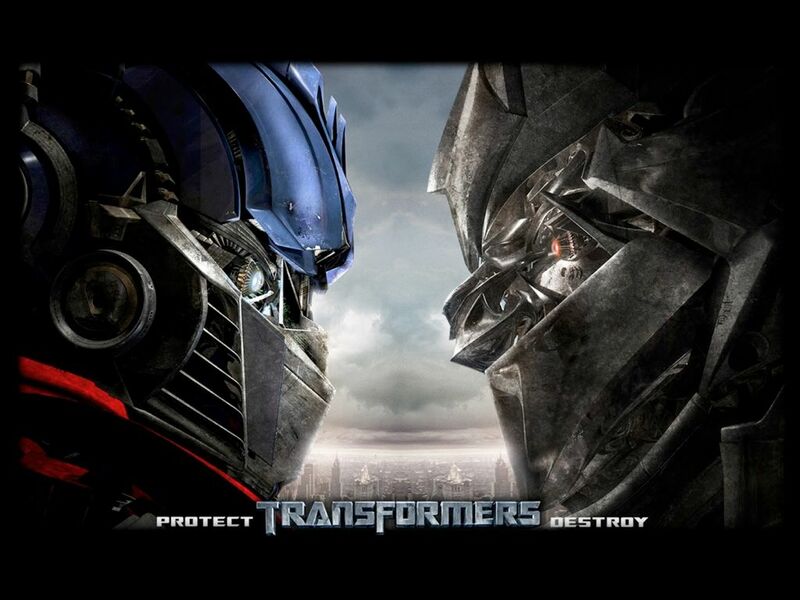 Michael Bay’s 2007 film Transformers can be seen as an interesting case of transmedial serialization in the context of what Henry Jenkins calls our “convergence culture” — interesting because, reversing the typical order of merchandising processes, Bay’s film and its sequels are part of a franchise that originates with (rather than giving rise to) a line of toys. Unlike Star Wars action figures, for example, which are extracted from narrative contexts and made available for supplementary play, Transformers are toys first, and only subsequently (though promptly) narrativized. These toys, first marketed in the US by Hasbro in 1984, but based on older Japanese toylines going by other names, spawned several comic-book series, Saturday-morning cartoons, an animated film, novelizations, video games implemented across a wide range of platforms, and the trilogy of films directed by Michael Bay with backing from Steven Spielberg. Despite such rampant adaptation and narrativization, however, we shouldn’t lose sight of the toys, which continue to be marketed to kids today, nearly thirty years after they were first marketed to me and my elementary school friends: the toys themselves offer only the barest of narrative parameters (good guys vs. bad guys) for the generation of storified play scenarios. Transformers, in opposition to Star Wars figures, which always exist in some relation to preexistent stories, are not primarily interesting from a narrative point of view at all: Autobots and Decepticons are basically just two teams, and the play they generate need not be any more narratively complex than a soccer or football match (where tales are told, to be sure, but as a supplement to the ground rules and the moves made on their basis). 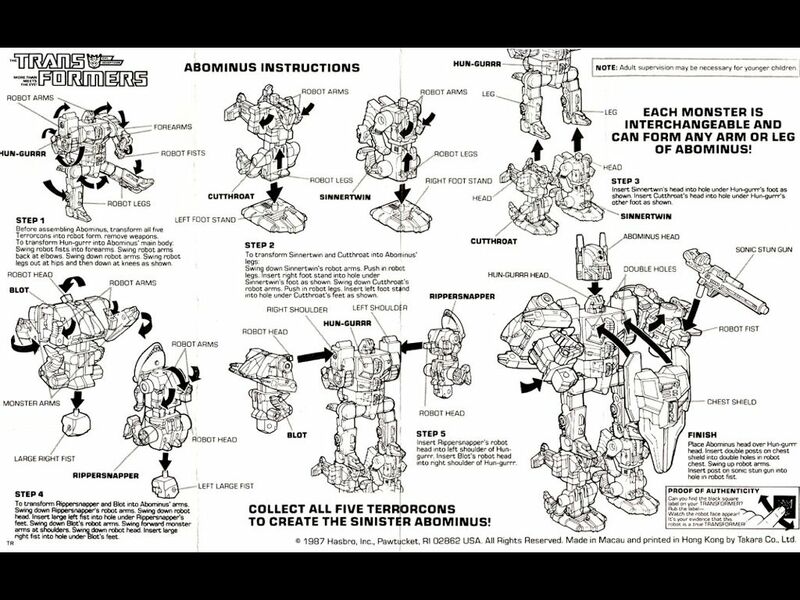 Instead, the basic attraction of Transformers is, as the name says, the operation of transformation. Transformers are therefore mechanisms first, and the attraction for children (mostly boys) growing up in the early 80s was to see how they worked. Transformers, in other words, are the perfect embodiments of an “operational aesthetic” in the original sense of the term, first introduced by Neil Harris to describe the attraction of P.T. Barnum’s showmanship against the background of nineteenth century freak shows, magic shows, World Expos, and popular exhibitions of the latest technologies. More recently, Jason Mittell has usefully employed the concept to explain the attraction of “narratively complex television,” but the operationality at issue here (i.e. in the case of the Transformers) is of a stubbornly non-narrative sort. Thus, consonant with a general trait of science-fiction film (with its narratively gratuitous displays of special effects, which often interrupt the story to show off the state of the art in visualization technologies), narrativizations of Transformers are inherently involved in competitions of interest: story vs. mechanism, diegesis vs. medium. The Transformers themselves, who are more interesting as mechanisms than as characters, are the crux of these alternations. Let me go back to the idea of convergence culture, which I’d like to connect with this operational mediality. It’s important to keep in mind that our convergence culture, in Jenkins’s terms, is enabled by a different type of convergence with which it remains in constant communication: viz. the specifically technological convergence of the digital. Is it stretching things to say that the original toys latched onto an early eight-bit era fascination with the way electronic machines could generate interactive play? 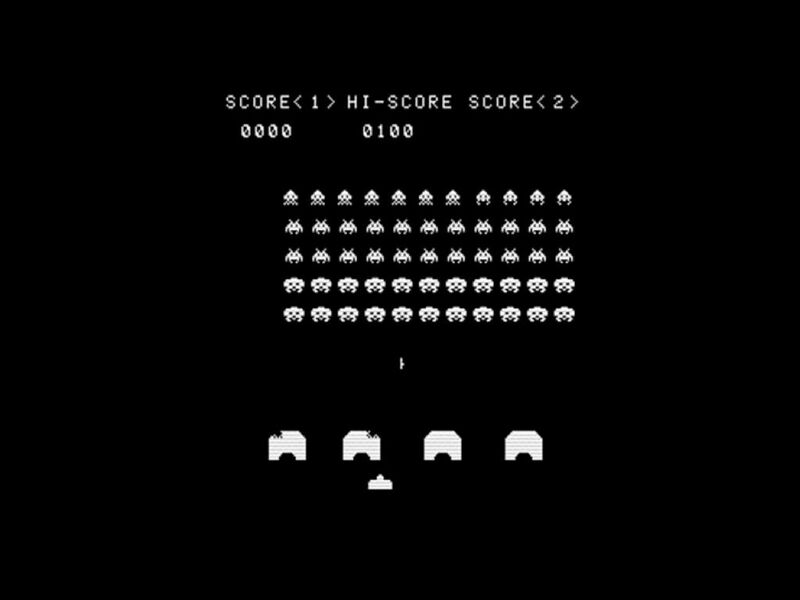 In other words, they spoke to an interest in the way machines worked — as the basic object of interactive video games — and promoted fantasies of artificial intelligences and robotic agencies that would be a match for any human subject (or gamer). In any case, Michael Bay’s Transformers, along with the film’s sequels, would not be possible without much more advanced digital technologies; the films know it, we know it, and the films know we know it, so the role of the digital is not hidden but foregrounded and positively flaunted in the films. Typically for a transitional era of media-technological change, which, it would seem, we are still going through with respect to the digitalization of cinema (and of life more broadly), there is a fascination with medial processes that the films hook into. The result is that attentions are split between diegesis and medium, story and spectacle. The Transformers serve as a convenient fulcrum point for such oscillations, thus capitalizing on the uncertain valencies of media change while connecting phenomenological dispersal with a story that in some ways speaks to a larger decentering of human perspectives and agencies in the face of convergence and computation processes — to a feeling of contingency about the human that is related in various ways to digital technologies. 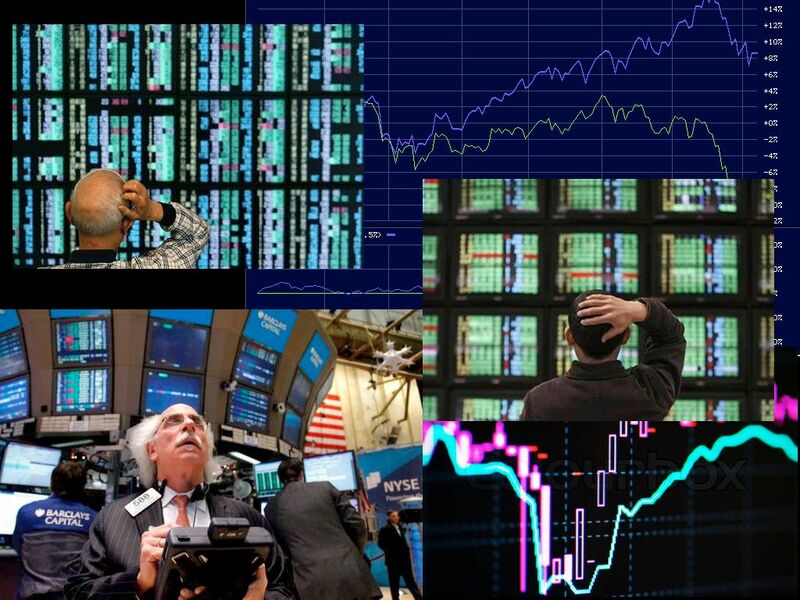 For example, there’s a sense of powerlessness with respect to digitally automated finance, which employs robotically operating algorithms to expedite the process and efficiency of transactions, splitting major operations into distributed micro-scale packet transfers that occur faster than the blink of an eye, and at truly sublime scales — both infinitesimally smaller and faster than human sensory ratios and with the potential to produce cataclysmically large results. The entire realm of human action, which exists in between these scales, is marginal at best: the machines originally meant to serve the interests of (some) humans end up serving only the algorithms of a source code — with respect to which, we are perhaps only bugs in the system. It is easy to extrapolate sci-fi fantasies: for example, the emergence of Skynet — or is it Stuxnet? But the decentering of the human perspective through digital technology is taking place in much less fantastic manners, and in ways that do not support any kind of humans-first narratives of heroic reassertion: global warming, which is revealed to us through digital modeling simulations, points not towards our roles as victims of a pernicious technology of automation, but shows us to be the culprits in a crime the scale of which we cannot even begin to imagine. Categorically: we cannot imagine the scale, and this fact challenges us to rethink our notions of morality in ways that would at least attempt to account for all the agencies and ways of being that fall outside of narrowly human sense ratios, discourses, cultural constructions, senses of right and wrong, the true and the beautiful, the false and the ugly…. Through digital technologies, we have found ourselves in an impossible position: our technologies seem to want to live and act without us, and our world itself, ecologically speaking, would apparently be far better off without us. We are forced, in short, to try to think the world without us. What does this have to do with Transformers and so-called “chaos cinema”? 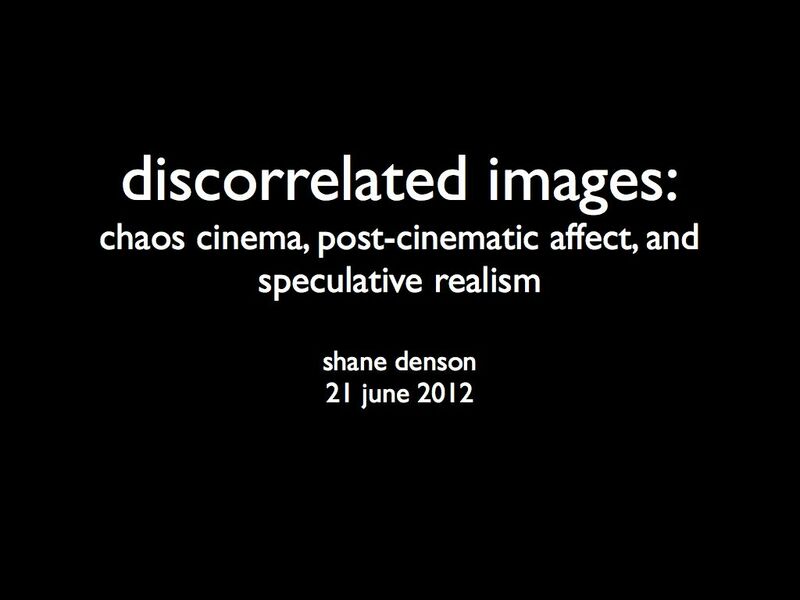 I’m trying to suggest something about the affective state, the structure of feeling, that produces and is (re)produced in and by our media culture today — a structure of feeling that Steven Shaviro calls “post-cinematic affect.” This broader context is largely ignored in Matthias Stork’s conception of “chaos cinema,” which is defined narrowly and technically, in terms of a break with classical continuity. These breaks do occur, and Stork has demonstrated their existence quite powerfully in his video essays, but they are only symptomatic of larger shifts. Shaviro has put forward a seemingly related notion of “post-continuity,” but he is careful to point out that continuity is not what’s centrally at stake. Post-cinematic affect is not served or expressed solely by breaking with principles of continuity editing; rather, continuity is in many instances simply beside the point in relation to a visceral awareness and communication of the affective quality of our historical moment of indeterminacy, contingency, and radical revision. The larger significance of a break with principles of classical continuity editing — rather than just sloppy filmmaking, as Stork sometimes seems to suggest, or quasi avant-garde radicalism — has instead to do with the correlation of continuity principles with the scales and ratios of human perception. Suture and engrossment in classical Hollywood works because those films structure themselves largely in accordance with the ways that a human being sees the world. (It goes without saying that this perceptual model is one that has as its touchstone a normative model of human embodiment, neurotypical cognitive functioning, and relatively unmarked racial, class, and gender types.) And while it has long been clear to feminist critics, among others, that the normative model of (unqualified, unmarked) humanity to which classical film speaks was in need of problematization, I would argue that the human itself has become a problem for us, and that “our” films have registered this in a variety of ways. The momentary breaks with continuity that Stork singles out as the defining features of chaos cinema are just one of the ways. More generally, I suggest, we witness the rise of the discorrelated image: an image that problematizes, if not altogether escaping, the correlation of human thought and being. The teaser trailer for Transformers (also integrated into the film itself) uses nonhuman subjective shots — images seen through the eyes of a robot, the Mars rover Beagle 2 — to promote its story about an intelligent race of machines. In a somewhat different vein, The Hurt Locker opens with images mediated through the camera-eyes of a robot employed for defusing bombs from a distance. The Paranormal Activity series employs a variety of robotic or automated camera systems. Wall-E, Cars, and a host of other digital animation films are all about the perceptions, feelings, and affects of nonhuman machines. Of course, there’s nothing new about such representations, and they are highly anthropomorphic besides. 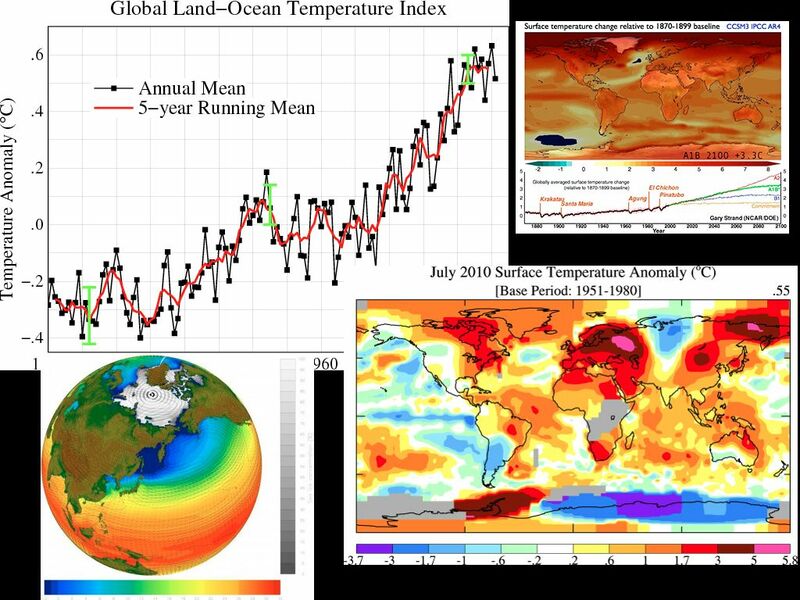 But what if these are just primers, symptomatic indicators, or gentle nudges, perhaps, towards something else? (Significantly, both Jane Bennett, in the context of her notion of “vibrant matter,” and Ian Bogost, with regard to his project of “alien phenomenology,” have argued for the necessity of a “strategic anthropomorphism” in the service of a nonhuman turn.) 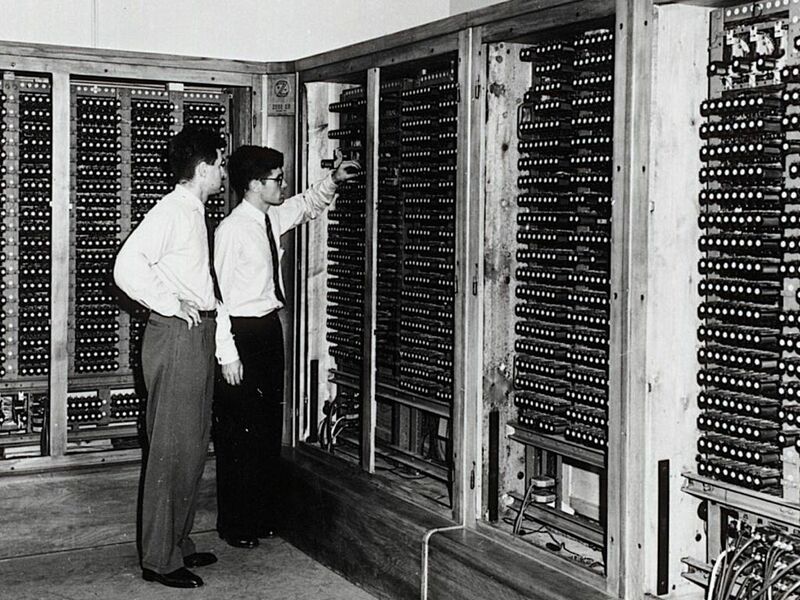 In fact, what we find here is that the representational level in such films is coupled with, and points toward, an extra-diegetic fact about the films’ medial mode of existence: digital-era films, heavy with CGI and other computational artifacts, are themselves the products of radically nonhuman machines — machines that, unlike the movie camera, do not even share the common ground of optics with our eyes. Accordingly, the supposed “chaos” of “chaos cinema” is not about a break with continuity; rather, it’s about a break with human perception that materially conditions the cinema (and visual culture more broadly) of the early 21st century. Again, in Transformers, the process of transformation is the crux, the site where discorrelation is most prominently at stake as the object of an operational aesthetic. The spectacle of a Transformer transforming splits our attention between the story and its (digital) execution, between the diegesis and the medial conditions of its staging, which are in turn folded back into the diegesis so as to enhance and distribute a more general feeling of fascination or awe. 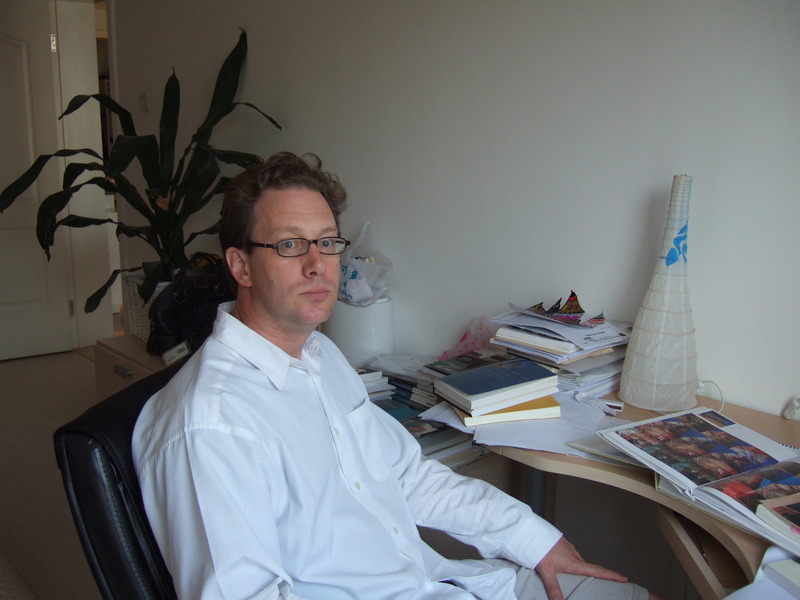 On Thursday, June 28 (at 6:00 pm in room 609, Conti-Hochhaus), Ulrich Blumenbach will talk about his work as German translator of David Foster Wallace’s Infinite Jest. 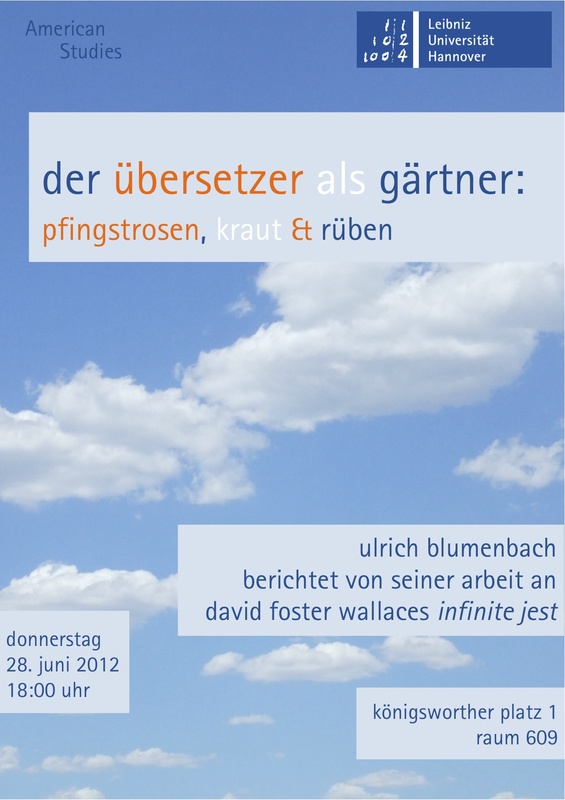 The talk, titled “Der Übersetzer als Gärtner: Pfingstrosen, Kraut und Rüben,” will take place in the context of Florian Groß’s seminar on Infinite Jest, but everyone is welcome to come! 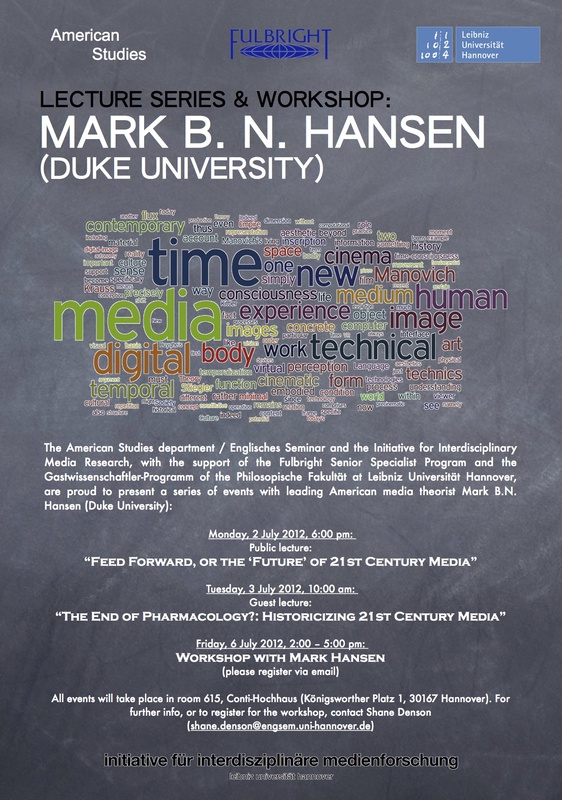 On the occasion of his visit to the Leibniz University of Hannover, the American Studies department / English Seminar and the Initiative for Interdisciplinary Media Research are proud to present a series of lectures and workshops with renowned media theorist Mark Hansen. 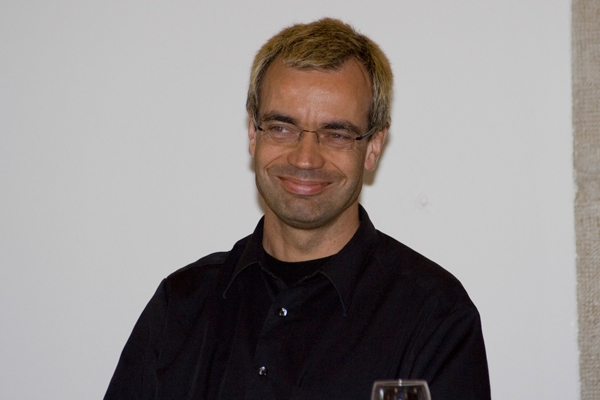 Professor of Literature at Duke University since 2008, Mark Hansen is the author of the monographs Bodies in Code: Interfaces with Digital Media (2006), New Philosophy for New Media (2004), and Embodying Technesis: Technology Beyond Writing (2000), as well as numerous other publications in the field of media theory. In addition to two guest lectures, a workshop will provide the opportunity to discuss Prof. Hansen’s research on the basis of selected texts. (All events will take place in room 615 in the “Conti-Hochhaus”: building 1502 at Königsworther Platz 1.) For further information and to register for the workshop, please contact Shane Denson. The topic of this panel, seriality and media transformation, names a constellation of processes that, as I see it, are perhaps not essentially or necessarily linked, but which are nevertheless bound together as a matter of historical fact. I’m tempted to say that seriality and media transformation are “structurally coupled” under conditions of modernity. My thoughts on this topic follow from research I’ve been conducting with Ruth Mayer, where we’ve been looking at popular figures like Frankenstein’s monster, Sherlock Holmes, Tarzan, or Batman – what we call serial figures, which proliferate across a range of media (but in a fragmented, plurimedial way, not by way of the more coherent, and more recent, transmediality that Henry Jenkins describes in terms of “world building”). In the context of this research, where we look at the way these figures jump from one medium to another, perpetually re-creating themselves in the milieu of a new medium, we are concerned with a nexus between seriality and mediality – a nexus where series are not just the contents of specific media (film serials, radio series, TV series, and the like), but where seriality is constituted as a higher-order medium, one in which the relations between and the transformations of first-order media (media as we usually think of them) are put on display, made visible, and negotiated. To make a big claim – because what else can you do in five minutes? – I would claim that it is the very hallmark of modernity to forge and reforge such a nexus of seriality and mediality; in other words, the articulation of seriality as a higher-order medium of media change is a central device for measuring, and indeed for constituting, the progression or forward march of a future-oriented modernity. So we have to regard the media-historical function of the nexus: Because series unfold over time, they are subject to any changes that their carrier media may undergo. Not just passive receivers, though, series actively trace these transformations as they enact their own temporal unfoldings: the self-historicization by which series mark new installments against the old and in some cases stage qualitative transformations of their internal norms (as when Lost suddenly shifts from using flashbacks to flashforwards) – such processes of serial self-renewal and innovation can also serve as indexes of media change, and as the means for updating the idea of modernity in the process. Modernity itself is all about the update, and more often than not the update in question is all about innovations in media and technologies of mediation. So I’m suggesting that serial forms, which are inherently concerned with perpetually updating themselves, are the “natural” forms in which modernity would seek to stage itself. Of central importance here is the medial self-reflexivity that serial forms are in various respects capable of instantiating. I’ll just briefly consider the example of Frankenstein’s monster, conceived as a serial figure (or a figure of serialization). Originating in a highly self-reflexive novel about (among other things) the experiential deformations occasioned by industrialization, the monster was serially replicated on the increasingly mechanized theater stages of the nineteenth century, before it became subject, in 1910, of a highly self-reflexive film by the production company of Thomas Edison, the wizard of modern media-technological innovation himself. 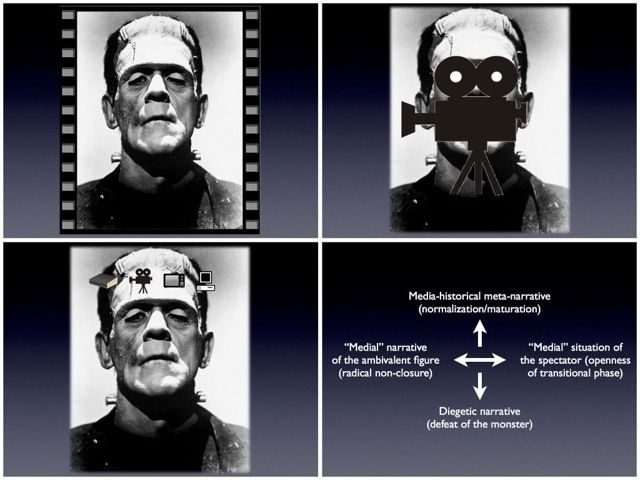 In the film, as in all the Frankenstein films that would follow in the course of the next century, animation is both a diegetic and a medial process. In 1910, the term “animated pictures” was still used to describe film in general and to distinguish it from the still pictures of photography, so the creation sequence instantiated a sort of “operational aesthetic” in which, against the background of the familiar figure, film could stage itself as a figure of modern media fascination. Importantly, this is at the outset of the cinema’s so-called transitional era, which would radically change the phenomenological and industrial functions of film. Nor is it an accident that the still iconic image of the monster, embodied by Boris Karloff, was established (in 1931) in the wake of the cinema’s sound transition. Robbed of speech, a mute icon served all the better to foreground the fact of sound and thus to stage the self-renewal of film, the updating of the medium’s modernity, against the background of the flat figure’s serialized history. The figure of the monster, which exists not in a series but as a series, which updates itself in color and widescreen formats, in 3-D and CGI, in comics, on TV, and in video games, increasingly becomes a medium itself: a second-order medium of media change, and of modernity as the trajectory of media-technical innovation, updating, and transformation.